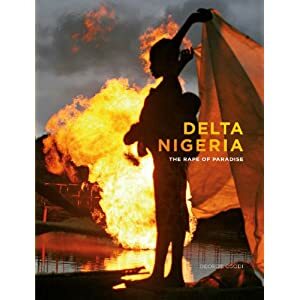 For more than five centuries the fortunes of the Niger Delta have been closely tied to that of the global economy. For its slave ports, then palm oil industry, and most recently, through the discovery of crude oil in the 1950s. Oil multinationals soon came to the fore, working in alliance with a local elite to strip the region of its wealth and despoil it. At the receiving end are the region's impoverished inhabitants: left with a poisoned environment, faced with a government that never cares and victims of rival armed militant groups laying claim to territories. George Osodi is an internationally acclaimed Nigerian photographer, who has spent over six years documenting his country, hoping to bring attention to not only the rest of the world, but the people of Nigeria, what is happening. A country still so rich in natural resources and beauty, but where many of its people have been left with nothing. George Osodi is a Nigerian photographer from Lagos. His photographs range between photojournalism and artistic documentary, closely observing social, economic and ecological processes of exploitation. 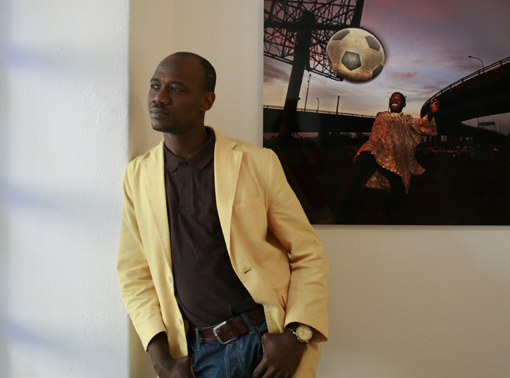 He was chosen to be part of the prestigious Documenta art fair in 2007.